On Monday, Kelly Clarkson premiered her new single, "Invincible," and it's the empowerment anthem to end all empowerment anthems. It makes "People Like Us" sound limp; it makes "Stronger (What Doesn't Kill You)" sound weak. In fact, it's one of the most striking pop songs I've heard in recent memory! So, why on Earth wasn't it chosen as the lead single from Clarkson's new album, Piece By Piece ?? Don't get me wrong, I love "Heartbeat Song" — but "Invincible" makes a much more powerful statement. 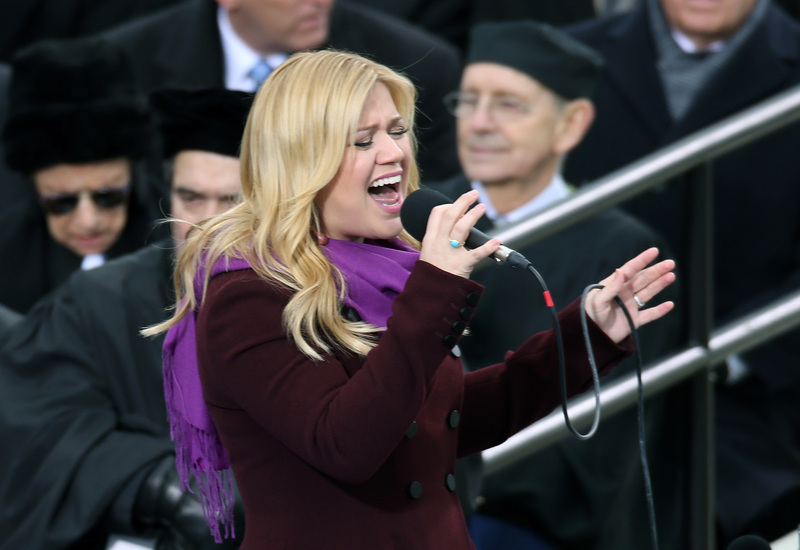 It says to the world: "Kelly Clarkson is BACK, y'all. Get ready." In a recent interview with ODE, Clarkson confirmed that "Invincible" is the next official single from Piece By Piece. However, according to the singer's Twitter account, new "countdown" songs will continue to debut online until the album is released on Tues., March 3. Woo hoo! "Invincible" is available on iTunes now.